YOU'VE HEARD THE BAD NEWS ABOUT DIVERSITY IN HOLLYWOOD, NOW JOIN ME IN CELEBRATING AND SUPPORTING THE GOOD NEWS! Please join me and Film Independent when we celebrate the 25th anniversary of Project Involve at a benefit dinner on Saturday, September 22nd, at the home of Catharine and Jeffrey Soros in Los Angeles. This joyous occasion will herald the free nine-month intensive program offering 30 up-and-coming film professionals from under-represented communities the opportunity to hone their skills and gain industry access. You may support Project Involve through a donation of any size here, or join us on the Host Committee with guaranteed VIP seating and enjoyment. The benefit will be held as part of Film Independent's 2018 LA Film Festival, and will honor Project Involve Fellows Effie T. Brown, producer of "Real Women Have Curves" and "Dear White People"; Jon M. Chu, director of "Step Up 3D" and "Crazy Rich Asians"; Cherien Dabis, director of "Amreeka" and supervising producer of "Empire"; and Charles D. King, founder and CEO of MACRO, the media brand that financed and produced the Oscar-nominated films "Mudbound," "Roman J. Israel, Esq." and "Fences." I am chairing the event because I have been a long time supporter of its mission through the Roger and Chaz Ebert Foundation, and I believe the work it does is more important than ever. Running from January through September, the Project Involve Lab pairs each Fellow with a notable professional in the same field who will provide guidance with their contacts and expertise. Ten Masters Workshops with top industry professionals are offered, as well as the resources and opportunity to gain hands-on practical experience. At least six 10-minute shorts are produced by the Fellows during the program, which are screened at the LA Film Festival. 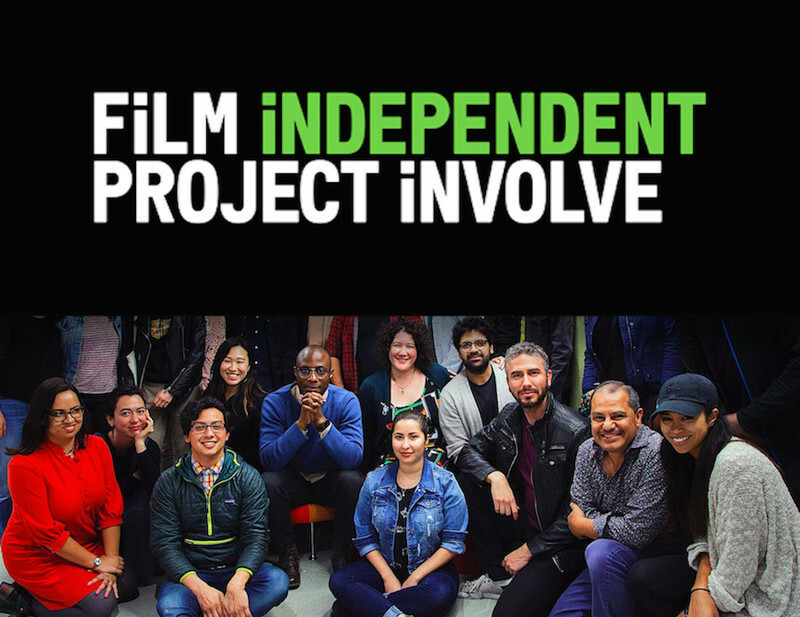 Past mentors who have participated in the program include Nina Yang Bongiovi ("Fruitvale Station," "Dope"); Ava DuVernay ("Selma"); Catherine Hardwicke ("Twilight"); Derek Cianfrance ("Blue Valentine," "The Place Beyond the Pines"); Destin Daniel Cretton ("Short Term 12"); Dan Gilroy ("Nightcrawler," "The Bourne Legacy"); Simon Kinberg ("X-Men: Apocalypse," "Fantastic Four"); Reed Morano, ASC ("Meadowland," "Vinyl"); Alexander Payne ("Sideways," "The Descendants"); Rodrigo Prieto ("The Wolf of Wall Street"); Justin Simien ("Dear White People"); Christine Vachon ("Carol," "Boys Don’t Cry") and Bradford Young, ASC ("A Most Violent Year," "Selma"). “Mr. SOUL!”, the Audience Award-winner for Best Feature at this year's AFI DOCS Film Festival was directed by Melissa Haizlip, a recipient of the Chaz and Roger Ebert Producing Fellowship through Project Involve at the Film Independent Spirit Awards. Project Involve Fellow Jomo Fray has gone on to become an award winning cinematographer and is currently shooting an independent film, "Selah and the Spades." Project Involve Fellow, Sue-Ellen Chitunya, this week won two awards in South Africa at the Durban FilmMart. Project Involve provides an antidote to the bad news and brings a healthier future of diverse storytelling. Don't be part of the problem, be part of the solution. Join us! For more information on tickets to the 25th anniversary dinner, contact Jennifer Murby at jmurby@filmindependent.org. For more information on how to apply to Project Involve, click here. You can celebrate the program by making a donation here.